3.37“ x 2.13" 2.13" x 3.37"
Printed on 0.76mm white PVC gloss card with rounded corners ,the plastic fundraising cards that are customizable with the many options that we offer, which will definitely give your project a boost. 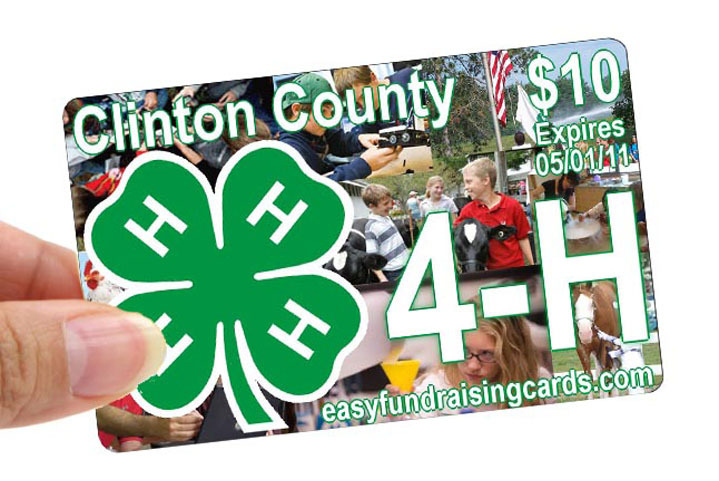 Fundraising cards are available for schools, church and youth groups, sporting teams and non-profit organizations. 1.What are your specifications for an upload artwork? 8. All Images are embedded or linked are supplied for non PDF files. 2.How long will it take for the shipping time? 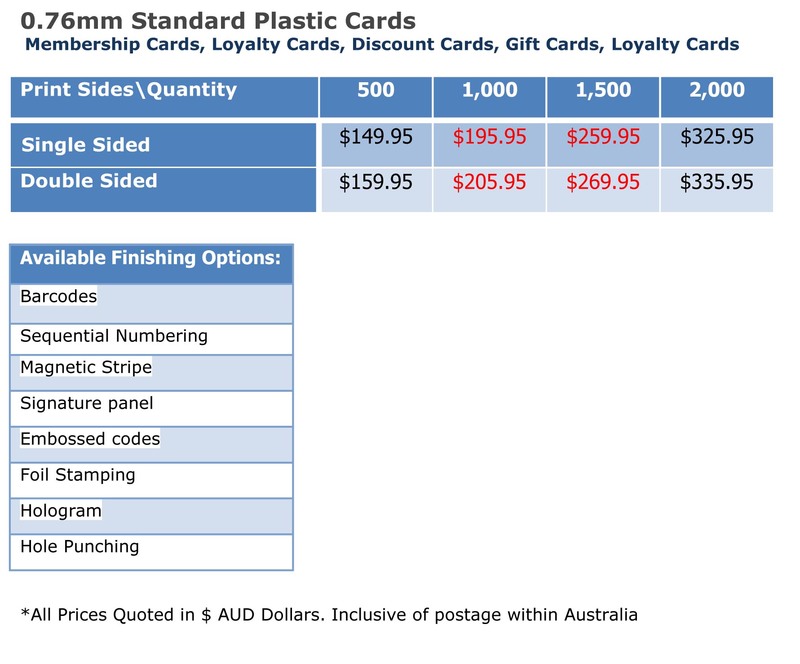 Australia, we usually use Registered Post to deliver our products and it takes 2-4 business days. Internationally we usually use DHL or FEDEX Express to deliver our products. Timings range from 2 to 5 business days worldwide. 3.What card stock and equipment do you use? Polyvinyl chloride, the most widely used plastic material for ID cards. and Black inks, known as CMYK colour mode. 4.What is the process to purchase in 7daysPrint? - Choose Features such as quantity, paper stock then click "Add to Basket"
5.Can you create a design for my business? create professional designs for your selection. But it would charge you some money. B. The design service is free of charge. Simply pick out the templates you like, email us the text information and images. We’d like to finish the design for you based on the templates. 6.How much does delivery cost? 210 countries worldwide. Shipping and processing costs vary by the weight of your order you select during checkout.